Masterworks from over 600 years of art history. Marvel at over 600 years of art, as well as changing special exhibitions, at the Kunsthalle Bremen. 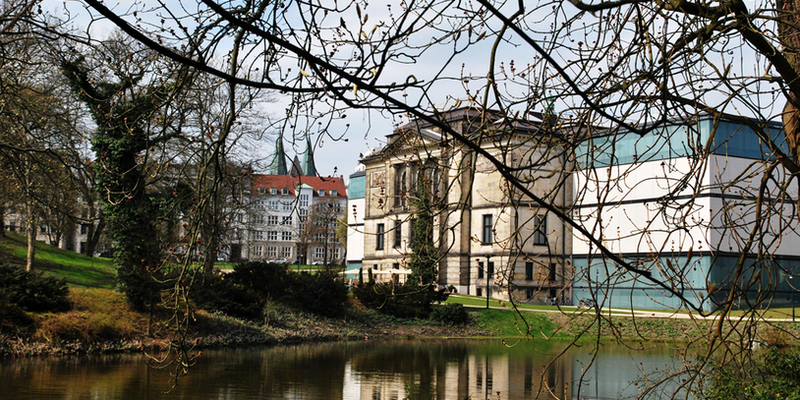 Founded in 1823 by the citizens of the city and one of the oldest art associations in Germany, the Kunstverein in Bremen (the Bremen Art Association) remains a private collection. The association’s collection includes outstanding works from the 14th century to the modern day. On permanent display are European paintings from the middle ages to the present, sculpture from the 16th to the 21st century, and an extensive graphics holding. The diverse collection includes works from masters such as Masolino and Dürer, Monet and Van Gogh, Beckmann, Cage and Paik. The Department of Prints and Drawings is a highlight of the museum’s collection, being one of the greatest collections of its kind in Europe, with over 200,000 hand drawings and prints. The Kunstverein also seeks to promote current trends in the world of art. It awards the Böttcherstrasse Art Prize and organises exhibitions through its Förderkreis für Gegenwartskunst (Supporters’ Circle for Contemporary Art in the Kunstverein Bremen). Two new wings flank either side of the 1849 neoclassical main building, setting the older building off like a jewel. The new extensions contrast and yet harmonize with the original structure, and allow for an honest "reading" of the old and new elements of the building. An unprecedented, specially commissioned piece by the American artist James Turrell which spans over three stories, has been integrated into the new building with the title "Above-Between-Below". Regularly changing temporary exhibitions are held in the Kunsthalle, featuring significant artists and contemporary artworks. Check the website for the current temporary exhibition.